There may come a time in your life when you need some extra help but are not ready to give up living at home. Or, you may be taking care of an elderly loved-one who requires more help than you are able to provide, yet neither of you is ready to make the move to an outside facility. Losing ones independence is never an easy journey, but the home health care advantages provided by Independent Nursing Care can make this journey less about losing independence and more about simply accepting new and caring people into your life. Independent Nursing Care, LLC (INC) provides a number of services that can prolong quality-of-life in ways that no outside facility can match. INC provides one-on-one care, helping elderly members of the community remain in their homes longer than they might without quality home health care. Inability to operate household machinery such as the microwave, stove/oven, washing machine, telephone, TV remote, etc. Providing tailored assistance will be immeasurably more comforting to the person losing these basic skills than a traumatic move into a nursing facility. INC’s highly-trained and caring staff will become an integral part of life and a trusted asset for both the client and his or her family. In addition, INC care providers live and work in the same community as our clients, giving them an immediate sense of familiarity with clients’ neighborhoods, shops, banks, etc. This can be quite comforting for both parties. Nursing staff can help with medical needs and our flexible scheduling ensures that we fit into your life, not the other way around. We can be there as much or as little as you require. And we can communicate with our client’s family as much or a little as desired. RN – Registered Nurses licensed by the State of New York. Provide skilled nursing services, client assessments, education, and medication management. LPN – Licensed Practical Nurses licensed by the State of New York. Provide medication management, wound care, personal care, and other nursing duties. HHA – Certified Home Health Aides. Assist clients in the home with personal care, light housekeeping, laundry, meal preparation, and other activities of daily living activities. Hairstylist – Licensed by the State of New York. Comes into the home or facility for a cut, style, and/or perm for women, or a shave and/or cut for men. All of the above support a general sense of well-being, both physically and emotionally. The caring staff and flexible services of INC optimize the quality-of-life of our clients and establish lasting relationships between care-giver and client. Our goal is to ease a challenging time of life for our clients and their families and provide better health to all! For the better part of two decades, Independent Nursing Care LLC (INC) has been a main provider of immunizations for people throughout the North East. Every flu season INC provides vaccinations at a wide variety of businesses, schools, and public facilities against the seasonal flu. This year INC will join the fight with the rest of the world in combating the new H1N1 virus. According to the Centers of Disease Control (CDC) more than 200,000 people are hospitalized and 36,000 people die from seasonal flu complications (1). Independent Nursing Care takes great pride in helping decrease these numbers throughout our region each year. This year the emergence of the H1N1 virus has hospitalized and killed thousands since April 2009. Many of INC’s clients have brought up concerns about the H1N1 virus in addition to the regular seasonal flu. As healthcare professionals, it becomes our duty to help the public in any way possible to combat this new virus. Novel H1N1 (referred to as “swine flu” early on) is a new influenza virus causing illness in people. This new virus was first detected in people in the United States in April 2009. This virus is spreading from person-to-person worldwide, probably in much the same way that regular seasonal influenza viruses spread. On June 11, 2009, the World Health Organization (WHO) signaled that a pandemic of novel H1N1 flu was underway. CDC has determined that novel H1N1 virus is contagious and is spreading from human to human. Illness with the new H1N1 virus has ranged from mild to severe. 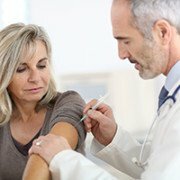 While most people who have been sick have recovered without needing medical treatment, hospitalizations and deaths from infection with the virus have occurred.The information analyzed by CDC supports the conclusion that the novel H1N1 flu has caused greater disease burden in people younger than 25 years of age than older people. What are the Signs and Symptoms of H1N1 Flu? If I have a family member at home who is sick with novel H1N1 flu, should I go to work? Employees who are well but who have an ill family member at home with novel H1N1 flu can go to work as usual. These employees should monitor their health every day, and take everyday precautions including washing their hands often with soap and water, especially after they cough or sneeze. Spread of novel H1N1 virus is thought to occur in the same way as seasonal flu spreads. People infected with seasonal and novel H1N1 flu shed virus and may be able to infect others from 1 day before getting sick to 5 to 7 days after. So far, about 2.2 million doses out of the available 2.4 million have be ordered. New York State received a shipment of 68,000 doses of the FluMist variety vaccine (3). Although we do not expect that there will be a shortage of novel H1N1 vaccine, we will be vaccinating the groups recommended to receive the novel H1N1 influenza first. Independent Nursing Care (INC) has been meeting with New York State, county and local officials to discuss H1N1 plans for this fall. Plans are being developed to distribute H1N1 vaccine as it become available to the region. When will INC offer H1N1 flu vaccine to employer groups? When the vaccine arrives to the Western New York region and those in the priority groups have been vaccinated, INC anticipates offer the H1N1 vaccine to employer groups. At this point INC is planning to offer H1N1 vaccine, to our employer groups, sometime in mid-November and continue to offer the vaccine as the availability and demand remain. If your facility is interested in offering the H1N1 vaccine, please contact us at 1-888-264-5854. Your health is the most important thing in the world. Please contact Independent Nursing Care for more information. Encourage others to join you in your quest to stay healthy. 1. “Three Steps To Fight The Flu.” Flu like syptoms from the CDC. September 24, 2009. CDC, Web. 09 Oct 2009. <www.cdc.gov>. 2. “New York State H1N1 information.” New York State Department of Health. October 5, 2009. NYSDOH, Web. 06 Oct 2009. The pressures of our hectic everyday schedules can often make it difficult to eat right or to exercise. These factors can contribute to high blood pressure and to elevated cholesterol levels. This month we want to share some exciting news about the possibility of controlling one’s blood pressure and cholesterol together through the use of a single natural supplement. 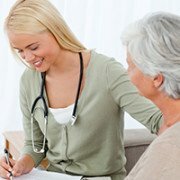 Many clients who have visited Independent Nursing Care’s Workplace Wellness clinics in Western New York have reported that Chinese Red-Root Sage, also known as danshen, has helped them lower their blood pressure along with improving their total cholesterol readings, indicated in part by higher HDL levels. These results do not, of course, replace the benefits that come from exercise and a healthy diet, but they do present another possible weapon in our fight against these common and dangerous health conditions. Herbalist.com explains that Red-Root Sage has been cultivated in China, Japan and Korea for almost 2,000 years (1). Early mentions of this herbal treatment appear in Chinese literature as far back as 206 B.C., but it was not until the first century A.D. that Red-Root Sage began to be commonly used as a curative in the Orient. The herb was used for treating ailments connected with the heart and abdomen. A French Jesuit named Father d’Incarville introduced Red-Root Sage to the Western World in the late eighteenth century, bringing seeds of the plant from Beijing to Paris. Shortly thereafter, the herb made its way to America as collectors of medicinal plants brought specimens with them on their return from Asia. In the twentieth century, Red-Root Sage became recognized for its cardiovascular benefits, as it has been found to improve blood flow and to reduce pain associated with heart problems. According to Altmd.com, the Red Sage Root is considered effective pro preventing and treading symptoms of angina (3). The root is widely used in Chinese medicine, and its medicinal properties are becoming more commonly recognized and accepted in the United States (2). Because Red-Root Sage works to improve blood circulation and to reduce blood clotting, the perceived benefits from this herb are wide-ranging and they go well beyond the improved blood pressure and cholesterol levels we’ve already mentioned. According to the Herbalist.com, the increased blood flow provided by Red-Root Sage may reduce the risk of strokes and heart attacks, and the herb is thought to be a useful supplement in bone marrow treatments. New research is providing evidence that Red-Root Sage works to detoxify the blood. This aspect not only benefits liver, spleen and kidney functions, but the purifying of the blood could relieve specific skin problems while also having a positive effect on the aging process. Red-Root Sage has been shown to be an antioxidant and to provide relief for fever and inflammation. Additionally, a 2008 international cancer treatment study showed that Red-Root Sage contains three ingredients with powerful anti-tumor properties. The results showed that this herbal treatment might provide another approach to attacking cancer cells that are resistant to commonly used drugs. Though Red-Root Sage, like any herbal supplement, is not a cure-all, the possible benefits stemming from the use of this herb are plentiful and they do indicate a more healthful condition for the heart. It is recommended that a person wishing to try Red-Root Sage take one (1) capsule, two (2) times each day at mealtimes (1). As previously mentioned, please consult your personal physician before taking any medication or natural remedies. For those of you who shudder at what “diet and exercise” might mean to your visions of sugarplums this holiday season, this month’s article is for you. National Christmas Cookie Day is December 20th and let’s be honest, you deserve a cookie… and some eggnog… and maybe even the plum pudding. The key to retaining or regaining your health and happiness through this holiday season is structuring a lifestyle so healthy that even Grandma’s Christmas cut-outs can’t pack on pounds. Healthy lifestyle choices not only improve your physical appearance but also maximize the integrity and performance of all your organ systems, including your heart. Don’t forget, it’s what’s on the inside that counts! Diet and exercise are the potent combination you need to keep your heart pumping liquid nourishment to all the cells of your body. Click here to learn more. The general idea of a heart healthy lifestyle involves flooding your system with delicious, wholesome food and then exercising to disperse the vitamins evenly throughout your system. For some of you, the following suggestions will be challenging. Together with this article, I encourage you to sit down with your loved ones and figure out a way to have a heart-healthy holiday season. Have fun, eat tasty food and do your best to Keep the Beat. The serving size of many foods has doubled in the last few decades while our stomachs (but not our bellies) have stayed the same size! Overeating is often directly responsible for indigestion, bloating and weight gain. As you serve yourself this holiday season, fill your plate with plenty of fresh fruits, vegetables and small portions of desserts. Desserts typically contain lots of sugar, which damages our heart (atherosclerosis) and gets stored in our body as fat, causing weight gain. A heart-healthy dinner would look like this: 75% fruits and vegetables (especially the dark, leafy green kind), 20% lean protein such as turkey or chicken and 5% desserts. For those without gym memberships, you can coordinate a heart-healthy (cardiovascular) workout with just a flight of stairs. Start climbing. In about two minutes, you’ll know what I mean! The goal during cardiovascular exercise is to strengthen the heart, pump oxygen and vitamins throughout the body and burn off the “extra energy” or fat that we’ve accumulated. For those interested in losing weight, I recommend calculating your target heart rate and exercising at that level. Target heart rate is the specific number of heartbeats per minute that causes maximal fat burning and the greatest benefits to the heart. Use the following formula to find your target heart rate: (220 – your age) x 70%. Exercise at your target heart rate for 30 minutes, at least 3 times per week. You can do it! Now that the temperature is dropping and the snow is piling up, the importance of a solid nutritional and fitness plan for yourself and your family is greater than ever. Because lifestyle has everything to do with your expression of health, identifying and correcting dietary and exercise deficiencies is essential to creating a healthier you. The purpose of this month’s article is to encourage you to develop a specific lifestyle strategy to make strides toward a healthier you. Maximize your potential for a bright and healthy future and above all, Keep the beat! According to the U.S. Surgeon General’s Report on Physical Activity and Health, inactive people are twice as likely to develop heart disease compared to those who are more active. Further, the Center for Disease Control (CDC) has found that 60 percent of Americans are not meeting the recommended levels of physical activity. Breaking the cycle of our daily routine is challenging because of our dedication to our family and to our jobs. Most often, the dedication to our own health suffers as the daily routine of Americans leads to obesity, heart disease, and diabetes. Stop to consider the long-term consequences of your lifestyle. You are responsible not only for your own health, but also for the health of your loved ones. As role models for young children, your actions shape their experience and their health. The keys to making healthy lifestyle changes for yourself and loved ones are motivation and dedication. Particularly when it comes to staying fit and active, success comes through finding someone that you can be accountable to, and accountable for. Establish a set of physical fitness and nutrition goals and challenge each other to stay on track. As the winter months grow closer, I encourage you to sit down with family or friends. Together, devise a plan to make important lifestyle changes that will impact not only your health, but also the health of those around you. As you may recall from a previous article, heart disease is the leading cause of death for both men and women in the United States. The purpose of this month’s article is to encourage you to make nutritional change and regular exercise the core element of YOUR heart disease prevention program. Set aside 30-60 minutes, 5 times per week in which you perform moderate physical activity. 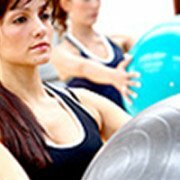 To maximize the fat-burning capacity, chose activities that challenge your body. The goal here is to increase your heart rate enough to make you sweat but not so much that you cannot carry on a conversation. Add a warm-up, cool down and stretching component to your exercise program to prevent injury and maximize your performance. Warm-up for 5 minutes, perform your exercise, cool-down for 5 minutes and stretch for 5 minutes at the end of your workout. The extra time it takes to exercise properly will come back to you by way of enhanced strength, flexibility and weight loss. Replace sugary sodas and juices with pure water. Aim for at least 6 glasses of pure water per day. In addition to reducing calories, proper hydration maximizes your performance when exercising and allows you to burn more calories per workout. Replace white bread with 100% whole wheat breads and pastas. White bread is metabolized in the body as if it were pure sugar – It gets converted to fat and slows weight loss. Further, whole wheat is a superior energy source to white bread and provides the boost you need to get through your workouts. You will workout longer, harder and burn more calories. Your health is the most important thing in the world. Please contact Independent Nursing Care for more information on preventing heart disease. Please be an advocate for others – Spread the word about heart disease. Encourage others to join you in your quest to stay healthy. The best way to protect against heart disease is to prevent it! Cholesterol is a waxy substance that comes from two places – our body and our food. Too much “bad” cholesterol in our diet can clog our arteries and lead to heart disease. In the United States today, heart disease is the leading cause of death for both women and men. It is important to know what your cholesterol levels are and what the numbers mean- It can save your life. Heart disease results from a build-up of “bad” cholesterol in our arteries. This build-up process (known as atherosclerosis) prevents nutrients from reaching our heart and makes pumping of the blood extremely difficult. Although LDL cholesterol often takes the blame in atherosclerosis, sugar is the true culprit. High levels of sugar in our bloodstream cause the initial damage to the lining of our arteries. The damage created by sugar allows LDL cholesterol to infiltrate the artery wall and form atheromatous plaques. Plaquing of the arteries puts extra strain on the heart and increases the risk for a heart attack. Occasionally, a portion of the plaque breaks off the artery wall and gets lodged in the brain. When this occurs, it is called a stroke; it’s a life-threatening condition. Both heart attacks and strokes are the end result of high cholesterol. According to the National Institute of Health, regular monitoring of your blood is the most effective way to screen for high cholesterol. To protect your heart, brain and blood vessels, it is extremely important to have regular lipid profile tests performed. Take the Test. A lipid profile is among the most common and trusted tests performed today. In fact, a lipid profile is the only way to diagnose high cholesterol. A nurse will take a few drops of a person’s blood and use it to determine their lipid profile. In just a few minutes, a person will know their current cholesterol and lipid levels and the significance of these numbers. Knowing Your Number. High cholesterol is diagnosed based on a simple numerical system (see chart below). If your any of your numbers are out of normal range, your risk for heart disease is increased. Your health is the most important thing in the world. Please contact Independent Nursing Care to schedule a Lipid Profile Test. Seriously, it can save your life. Be an advocate for those people. Spread the word about heart disease. The best way to protect against heart disease is to prevent it! Beat The Bug! Your guide to staying healthy with the Flu Vaccine. Influenza (the flu) is a contagious viral illness that affects up to 20% of Americans every year. The influenza virus attacks the upper respiratory tract, causing chills, fever, muscle aches, headache and fatigue. In very young and older people, the Influenza virus poses serious health risks. Every year, 36,000 people lose their life from complications to Influenza. According to the Center For Disease Control (CDC), annual vaccinations are the single best way to protect against Influenza. For more than 60 years, Influenza vaccines have been helping to limit the spread of infection. Today, the safe and effective use of Influenza vaccines is saving thousands of lives every year. Almost 100 years ago, a pandemic of Influenza (the Spanish Flu) claimed over 40 million lives as it spread from America to the rest of the world. Today, pandemics of Influenza are rare, however, every single year, the United States experiences an epidemic of Influenza as millions of people get sick. Fortunately, 132 million doses of vaccine were available to the public last year, and many lives were saved. The most critical feature of Influenza is that it spreads quickly from person to person through small saliva droplets in the air. Healthy adults deal with Influenza infection quite well; unfortunately, children and older populations do not. Children are especially efficient transmitters of Influenza and have high rates of infection. Every year, 20,000 children under 5 years are hospitalized because of Influenza complications. Older persons typically have weakened immune systems and are subject to developing life-threatening complications following an Influenza infection. Your health is the most important thing in the world. If the box to the right describes you or a loved one, I strongly urge you to receive the Influenza vaccine. If you are a healthy adult looking for extra health protection throughout the winter season, Influenza vaccination is a safe and effective approach.The Center For Disease Control (CDC) has deemed December 8-14, 2008 National Influenza Vaccination Week. Since most influenza infections occur in January and February, it is important to have your vaccination prior to the New Year. Please contact Independent Nursing Care for more information or to get tested. Millions of people in this country will get The Flu this year. Some will die unnecessarily. Be an advocate for those people. Spread the word. Beat the Bug. https://independentnursingcare.com/wp-content/uploads/2015/04/H1N1.jpg 200 300 otherwisz https://independentnursingcare.com/wp-content/uploads/2015/03/independentlogo.png otherwisz2014-02-21 12:00:582015-07-30 14:05:27Beat The Bug! Your guide to staying healthy with the Flu Vaccine. At this time tomorrow, 4,000 new people will have been diagnosed with Diabetes Mellitus. The day after that, another 4,000 people will be diagnosed. The numbers are staggering. 25% of all people over 60 years have Diabetes. These statistics, courtesy of the Center For Disease Control (CDC) are not meant to be disheartening, but instead to direct your awareness to a more empowering topic – PREVENTION! Today in the United States, 23 million people have Diabetes. That may seem like a lot, and it is, however, there is a much more important statistic. More thantwice as many people (57 million Americans) have a health condition that is leading them straight to Diabetes. This health condition is called Pre-Diabetes. Insulin (a hormone made by the pancreas) is like a mobile alarm clock that floats around in your blood stream. When you eat carbohydrates, the “Insulin Alarm Clock” goes off and signals to the body that it’s time to eat! The cells of your body respond by absorbing sugar from the blood. The primary problem in Pre-Diabetes is that the body becomes desensitized to Insulin. As a result of this desensitization, the body cannot absorb glucose properly and the amount of sugar in your bloodstream stays high. Sugar, or glucose, is a nutritious and essential fuel for your body. Unfortunately, prolonged high levels of glucose in your blood will damage your arteries and nerves. If it goes untreated, Pre-Diabetes will lead to Type 2 Diabetes. Because of it’s significance, Pre-Diabetes is getting LOTS of attention from researchers. A huge study was performed called the Diabetes Prevention Program that involved over 3,000 people with Pre-Diabetes. The researchers wanted to see if changing one’s diet and exercising regularly would prevent a Pre-Diabetic from developing Type 2 Diabetes. It does! Participants who exercised and modified their diet reduced their risk of Diabetes by 58%. Your health is the most important thing in the world. I strongly urge you to receive regular blood tests to scan for Pre-Diabetes. Please contact Independent Nursing Care for more information or to get tested. Fifty-six million people in this country have Pre-Diabetes and many of them do not know it. Be an advocate for those people. Spread the word. Imagine for a moment that you’re eating in a restaurant and the man at the table next to you falls out of his chair – unconscious. He is not breathing and has no pulse. His wife is frantically shouting for someone to help him – for someone to save his life. After just 4 minutes without oxygen, the human brain experiences hypoxia – a dangerous deficiency in oxygen. After 7 minutes of hypoxia, permanent brain damage occurs. Studies have shown that CPR is most effective when initiated within 6 minutes of the heart stopping. Quick action by a CPR-certified individual (like you!) will provide the oxygen necessary to keep a person alive. If you are prepared with CPR training you can dramatically change the course of a person’s life! CPR, or cardiopulmonary resuscitation, is a powerful lifesaving technique for people experiencing cardiac arrest. CPR allows you to literally breathe the gift of life into a person – you can keep someone alive when they otherwise could not survive. Artificial respiration- your lungs do what a person’s unresponsive lungs cannot. The air you breathe into their lungs oxygenates the hemoglobin in their blood. Chest compression- is the driving force that carries the blood to their oxygen-starved brain. The CPR provider uses their hands to put rhythmic pressure into the chest wall, near the heart. Chest compression replicates the function of their heart in that it pumps oxygen-rich blood to their brain. It is important to note that by itself, CPR is unlikely to “bring someone back”. The purpose of CPR is to sustain life until emergency services, like defibrillation, can be administered. When CPR is combined with emergency services, a person has the highest chance of survival. As soon as a person stops breathing, CALL 911 and begin CPR. CPR is a skill that you develop by practicing with trained professionals. The specifics of cardiopulmonary resuscitation are covered in detail in CPR seminars. CPR seminars are a fun and highly interactive way to learn the skills necessary to save lives. In fact, a CPR seminar is the only way to become a certified CPR-provider. I encourage you to talk with your family about becoming certified, for it is the only way to be truly prepared. Please contact Independent Nursing Care today about becoming certified. There are so many people in need of CPR every single day that I can almost guarantee you will save a life one day. It only takes a day out of your life to get certified – It will mean a lifetime to the person you help save. Our CPR courses provide instruction on Basic Life Support/CPR/AED for adults, children, and infants. For a complete list of upcoming CPR training courses, click here. Every second of your life, blood travels through our bodies, carrying precious nutrients to every inch of us. In fact, in a single minute, 5 liters of blood make a complete trip from your heart all the way to your little toe and back again to the heart! Blood brings Liquid Nourishment to every cell in your body and carries away waste products from all your nooks & crannies. For blood to make the lengthy trip, the heart and blood vessels work together to give blood the high-speed boost it needs. As the heart contracts, blood SHOOTS through your arteries en route to its’ destination. Arteries resist the high pressure created by the heart while promoting the high-speed flow of blood. The resistance created by the arteries can be measured and is known as BLOOD PRESSURE. As the heart contracts, it creates a high-pressure surge known as systolic pressure. Relaxation of the heart lowers the arterial pressure and is known as diastolic pressure. You might recognize “120/80” as a normal blood pressure. “120/80” is the combination of systolic (120) and diastolic (80) pressures. This number is incredibly important because it tells the doctor how healthy your cardiovascular system is. Blood pressure is among the most common and trusted tests that Independent Nursing Care performs because it provides reliable information about your well-being. Blood pressure is a safe and gentle test and in fact, it is the only test a healthcare provider uses to tell if you have a serious health problem called HYPERTENSION. If you have been diagnosed with HYPERTENSION, it is because your healthcare provider has taken your blood pressure a few times and seen that it was consistently high. High blood pressure and hypertension are used interchangeably to mean that the pressure inside your arteries exceeds the safe limit for what your body can handle. Hypertension or high blood pressure is actually known as the “silent killer”. Most often, someone doesn’t have any symptoms of hypertension until they have serious complications from it. A diagnosis of hypertension should be taken seriously. Prolonged hypertension decreases your life expectancy and increases your risk for other serious health problems. Prolonged hypertension damages your arteries and can lead to blindness, heart disease, stroke and kidney failure. Hypertension is diagnosed based on a simple numerical system. If your systolic pressure is above 140 mmHg or if your diastolic pressure is above 90 mmHg, on a consistent basis, you have hypertension. It is important to note that your blood pressure can fluctuate and is dependant upon many factors. The most often benign reason for an elevated blood pressure is “White Coat Hypertension”. Other reasons for hypertension can include serious health problems. Hypertension may be the only warning sign of a dangerous condition. Hypertensive patients need to be examined by your primary health care provder. Take Charge of Your Number! Controlling hypertension can be a fun and rewarding process! Here at Independent Nursing Care, we are dedicated to maximizing your health! Below are a few ways you can make BIG improvements! These simple steps will help you regain control of your blood pressure and revitalize your overall sense of well-being! The manners in which you Eat & Move have incredible implications to your health. Literally thousands of research studies support diet and exercise as safe and effective methods of maximizing health. Many other studies show that diet and exercise are extremely effective ways to improve blood pressure. The sodium content of pre-packaged, preserved and canned food is a major contributing factor to hypertension. They should be avoided at all times. Aim for less than 1,500mg of sodium per day! Be sure to stash plenty of fruits and vegetables throughout the house, office and car. Fresh food is preferred, and frozen is better than canned! Specifically, add high potassium foods to your diet! This will improve your blood pressure. Numerous research studies show that fish oil supplements (3 grams daily) can lead to significant reductions in blood pressure in individuals with untreated hypertension. Dr. Novelli recommends using only brand oils. Not all fish oils are the same. When buying pre-packed foods such as cheeses, snacks and beverages, look at the nutritional information. Try to weed out the high sodium foods from your cart. Make it a game for your kids to play – let them keep you on task! No more than 25% of your daily calories should be from fat. Fruits and vegetables should take up most of your plate! Staying physically active is another excellent way to control hypertension, lose weight and improve your well being. **If you have a serious health problem, talk with your doctor before starting any exercise program. 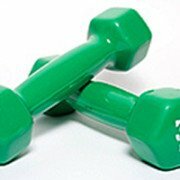 Running on the treadmill or lifting weights are great ways of burning calories but not everyone goes to the gym. The most important thing is to do some moderately strenuous activity 5 days a week for 30 minutes. This can include brisk walking, yard work, walking 18 holes at a quick pace, or taking the dog around the block a few times a day! What ever exercise you choose, it is important to pick up the intensity so that your heart is pumping just a little bit harder than when you are at rest. Your heart is just like any other muscle in the body. If you want it to be strong, you’ve got to work it out! Wondering What’s In Your Food? 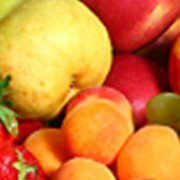 For those of you who are a bit more Nutrition Savvy, check out this link to the National Nutrient Database. This extensive database tells youEXACTLY what’s in your food! Whether it’s a Double Cheeseburger, Lasagna or an Avocado, you’re sure to find the answers here! Antioxidants are components of food that have an incredible ability to prevent damage to our cells and protect our DNA. Damage to our DNA paves the way for serious diseases such as cancer and is responsible for the aging process. To maintain healthy organs and young looking skin, it’s vital to get plenty of antioxidants in our diet! Protect Your Future! Make an effort to eat one of these a day!